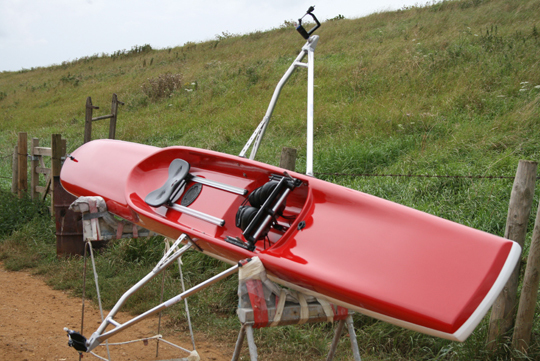 The R1 is a brand new boat, designed to be the first ever grown-up Recreational Scull. This is a properly fitted out performance craft, made wide enough to make anyone feel immediately comfortable and safe. Tough gel-coat single skin, composed of layers of GFRP and Carbon. Junior version of the R1 for up to 45kg rowers. Our recreational Four is fast becoming the must-have boat for Recreational and Touring clubs. It is light, tough, requires zero annual maintenance and runs quickly through even rough water. All the components have been specially selected for ease of use and comfort, making beginners to experts feel at home and confident. Tough gel-coat double skin, composed of tough outer laminated GFRP and Carbon, vacumm formed closed cell foat. H2Row shoes to your size (or Flexifeet). Closed cell foat 1" cushion on cox's seat. All of our Recreational craft are ideal for use as Training Boats, and many clubs have been pleasantly surprised to get two boats for the price of one! We also have dedicated training boats to help novices, listed below. Made of a tough GRP construction with stations opposite each other. Standard design of fixed tub fitted with Neaves Riggers. Approximate dimensions 3m x 90cm x 30cm, all fittings are standard scull fittings. 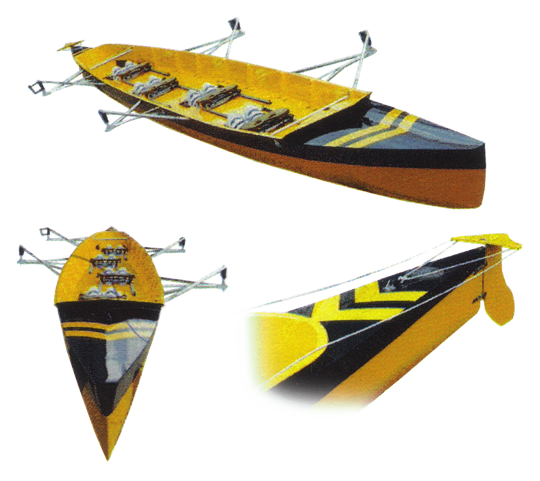 This boat features a wider beam than normal fine sculls for stability and is constructed in the same way as a standard scull.